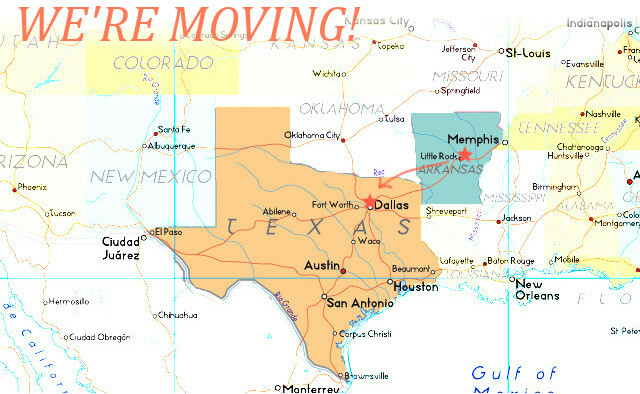 We're packing up our little apartment and moving to the Big D! We're super excited, but also a bit nervous... and by 'we' I really mean 'me'! Dallas will be a big change for me - I'm a small town, raised in a rural community kinda gal! And it's even further away from my family! 14 hours! That's always a bummer. TC is eager for the change because he's from a big city, Atlanta to be exact. But hey, Dallas can't be too bad right? There's an IKEA! :) No but seriously, we're excited for this next chapter in our lives to begin! Fair thee well 'The Natural State', you've been pretty good to us.